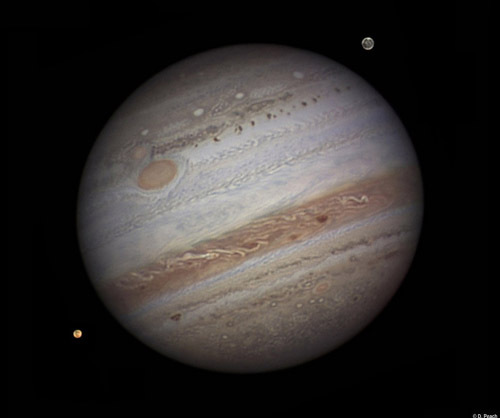 This is a still a great month to observe Jupiter which came into opposition on May 8th and will be visible in the south in the late evening It is moving down the ecliptic and now lies in Libra so, sadly, will only reach an elevations of ~20 degrees when crossing the meridian. An interesting observation is that the Great Red Spot appears to be diminishing in size. At the beginning of the last century it spanned 40,000 km across but now appears to be only ~16,500 km across - less than half the size. It used to be said that 3 Earths could fit within it, but now it is only one. The shrinking rate appears to be accelerating and observations indicate that it is now reducing in size by ~580 miles per year. Will it eventually disappear?